Three-time Pulitzer Prize winner and University of Wisconsin-Madison graduate Walt Bogdanich will deliver the keynote address at the second annual WisconsinWatch.orgdog Awards on April 25. Bogdanich is a New York Times investigations editor and former investigative producer for 60 Minutes and ABC News. The WisconsinWatch.orgdog Awards reception and dinner is presented jointly by the Wisconsin Center for Investigative Journalism, Wisconsin Freedom of Information Council and the Madison Pro Chapter of the Society of Professional Journalists. “Walt Bogdanich is one of the world’s greatest investigative journalists, and his work has helped save lives and expose wrongdoing,” said Andy Hall, the Center’s executive director. The WisconsinWatch.orgdog Awards, a celebration of investigative reporting and open government, is open to the public, with proceeds supporting the nonprofit and nonpartisan Wisconsin Center for Investigative Journalism. The event at the Madison Club, 5 E. Wilson St., is sponsored by the Wisconsin Newspaper Association, Wisconsin Broadcasters Association, McGillivray Westerberg & Bender and the Wisconsin State Journal. • Where: The Madison Club, Madison, Wis. The evening will begin with a reception at 5 p.m., followed by dinner at 6. Tickets are available for $55. Register online here. Attendance is limited to 120 and organizers expect all tickets will be sold. The recipient of the 2012 Distinguished WisconsinWatch.orgdog Award will be announced soon. Subscribe to the Center’s email newsletter to be notified when the announcement has been made. Also at the event, winners of the Wisconsin Freedom of Information Council’s annual Opee Awards will be recognized for their work promoting open government. In addition to speaking at the WisconsinWatch.orgdog Awards, Bogdanich will appear on a panel as part of the 120th anniversary celebration of The Daily Cardinal. Three days of events, including an open house, drinks and dancing, are planned for April 26 through 28. Bogdanich graduated from UW-Madison in 1975 with a degree in political science. He received a master’s in journalism from Ohio State University in 1976. In 2008, Bogdanich won the Pulitzer Prize for Investigative Reporting for the series “A Toxic Pipeline,” which tracked how dangerous and poisonous pharmaceutical ingredients from China have flowed into the global market. 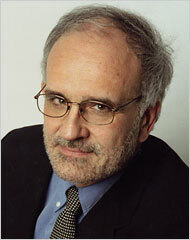 Bogdanich also won the Pulitzer Prize in 2005 for National Reporting for his series “Death on the Tracks,” which examined the safety record of the U.S. railroad industry, and in 1988 for Specialized Reporting, for his articles in The Wall Street Journal on substandard medical laboratories. He has also won four George Polk Awards, an Investigative Reporters and Editors Award, and an Overseas Press Club award. Sponsors are being sought for the WisconsinWatch.orgdog Awards. Information is available here. Nominations are being sought for the ninth annual Distinguished Wisconsin Watchdog Award, recognizing an individual’s extraordinary contributions to open government or investigative journalism in Wisconsin.